Article by Karsten Bubber Outzen, independent digital advisor in KBO, strategy and consulting. It will never be perfect, but too many projects today are suffering from the same issues. That’s my experience from the many projects that I’ve been involved in down the years. In this article, I will present some of these issues, and try to provide some guidance as to how you can handle them. In my experience, it’s often completely different questions that need answering, when embarking on a new project. One of these is governance, as in; is the project organised the right way? This is your foundation for making sound decisions throughout the lifespan of the project. It’s common to have a project manager on both sides, but you should also enable a process that can handle the questions that will arise along the way and process this That could be in a steering committee or similar. The involved managers need to have a mandate not only to make decisions in regards to strategy and funds, but also in a wider context of changes to he overall business. What will often be the case, is that the prerequisites for the project will change quite early in the process, and the project has to adapt to these changes. If a governance process for effectuating larger changes, isn’t in place at this point, you run the risk of falling short on expectations. In the end, the project will come off as a failure. Another aspect in regards to governance, is the criterias of success. I can’t stress enough how important it is, that everyone involved in the project are aware of these, and have understood them fully. This will ensure that the team is working towards a shared goal, and it will increase everyone’s motivation. If the project changes radically, it becomes extremely important that these changes are also reflected in the criteria for success, which must then be updated, as well as communicated to all those involved in the project. These criteria should always be well defined, allowing them to be measured or visualized. This provides continuity across the team and between client and vendor. Today an agile approach to projects is common. This doesn’t mean that the budget or deadlines are not clearly defined, but it allows for learning and new discoveries along the way; making adjustments accordingly. The end product won’t look entirely different, but the means of getting there might. In my experience, it is extremely healthy to have your project challenged - especially in the beginning, so you can steer clear of habitual thinking, and “this is how we do things around here”. Changes to a project are always cheaper in the beginning, before it has taken too much shape. The insecurity will also often be greatest in the beginning, and will in all likelihood decrease as the project is more matured and sharper defined towards your finishing line of creating customer value. It is often said that you will get smarter throughout a project. There is a great deal of truth in that. We don’t always know all the answers from the beginning, but with an agile approach, we are allowing the project to be adjusted along the way without laying waste to both budget and deadlines. My final point, which is surprisingly easy to forget, is that you have to keep a strong focus on the users throughout the project. All too often, the end users are forgotten somewhere along the path, or their input will be disregarded due to economical or internal interests. In my opinion, this is a grave mistake. The goal should always be, not just to deliver something that the end users would expect - as in simply not falling short on minimum expectations - but to surprise and delight by making their lives easier, cheaper or just outright better. Is this easy? No, far from it. There are no garanties for success, but this doesn’t mean that we should give up from the very start. Even though the process, and the project as a whole will never be perfect, it doesn’t mean that we can’t still end up delivering actual value to actual human beings. Today Bubber is an independent digital advisor in KBO, strategy and cosulting. He is working with public and private customers on digital transformation, vendor selection and guidance on executive level. Bubber has a long track record of delivering business value through digital. He worked at Synkron, one of the first CMS houses in Denmark with clients including B&O, Rockwool, the Read Cross and many more. Synkron was later acquired by DynamicWeb. In CCI Europe, Bubber worked with digital editorial projects for newspapers such as the Chicago Tribune, The New York Times and The Economist. Later, Bubber was a co-founder of Klean, a digital agency focusing on design, customer experience and best practice. Here Bubber worked for several large Danish Brands, including Arla. 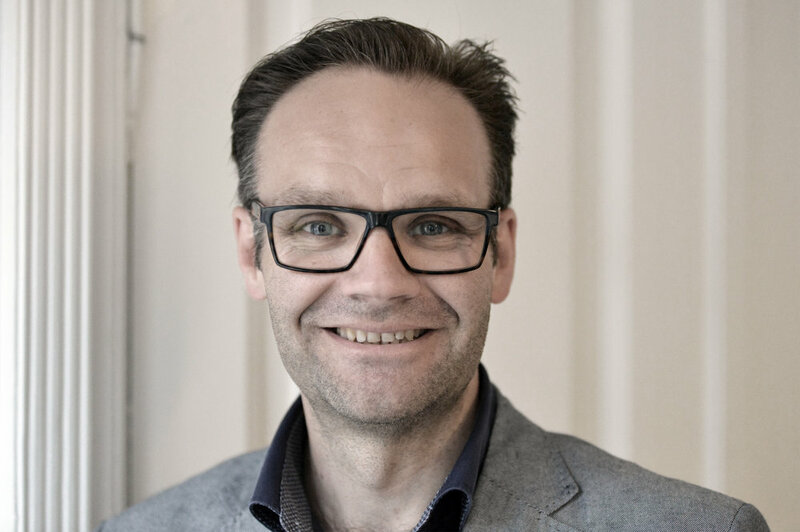 Following his time at Klean, Bubber became digital strategy director at Novicell, which is one of Denmark's largest digital agencies with more than 230 employees across 4 countries. Clients included FLSmidth and Pressalit.